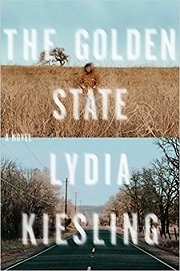 Daphne, the narrator of Lydia Kiesling’s debut novel, is exhausted and frustrated and in terrible need of a break. She’s been raising her daughter, Honey, on her own since her husband, Engin, was barred from entry to the United States and forced to return to Turkey because of what amounted to a clerical error that seems impossible to resolve. At work, she’s having to manage a crisis involving the death of a student while on a research trip to Turkey. She’s just feeling done with it all. So she packs up her 18-month-old daughter, Honey, and heads out of San Francisco and up to Altavista, to stay in her grandmother’s mobile home, which Daphne inherited from her mother. Kiesling’s writing here is excellent. It’s in a stream-of-consciousness style, but not so elaborate and discursive that it’s hard to follow. The style mostly takes the form of long, unpunctuated sentences, which gives the sense of Daphne’s constant activity. Granted, some of the activity in Altavista includes sitting on the porch and smoking, but her mind is never off. Yet, despite the constant thinking, she never actually sits down and thinks through the decisions she needs to make. It’s like she’s stuck, always spinning, never moving. A familiar state for a lot of people. I really liked how well this book depicts what it’s like to feel stuck in a situation, even when, perhaps, there’s a way out that you just can’t see. The book’s focus is on Daphne and the experience of being a working mother on her own, but Cindy and Alice are also stuck in situations that don’t feel right to them. It’s a problem that I imagine most people can relate to. And, even if you can’t, Kiesling’s rendering of her inner monologue makes her thinking feel real and true.